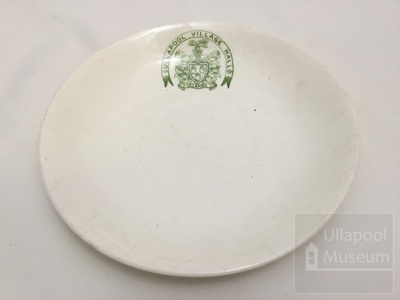 About this objectWhite saucer with green design stamped on it. Design reads "Ullapool Village Hall" on banner with crest. China.